We like to do things a little differently than other mortgage providers. Our team works with you as financial advisors, because we have come to realize that a mortgage is a very powerful financial tool. And just like any other financial tool, it should be managed as part of your overall financial management plan to reach your long and short-term financial goals much faster. So we feel it is our responsibility to help you build a Strategic plan that will allow accelerate your financial growth. We do this through a process we have developed over time called our Strategic Financial Management Program. You see, the reality is that the decisions you make in this process will have a significant impact on your ability to reach your financial goals, both now and well into the future. So the first step in our Strategic Financial Management Program is the strategy session appointment, where I will show you how a number of powerful financial concepts should affect your mortgage decision. And then I will show you a few different options in writing and help you set up your plan. Priority status with top wholesale lenders in the U.S. Due to our volume of loans and quality of loan files we have been able to received priority status with major wholesale lenders in the country . This enables us to provide exceptional service, fast turn times and the absolute best pricing tier for our clients. Absolutely no broker fee to the borrower on the majority of products– Our broker compensation is paid by the wholesale lender not by the borrower on the majority of loan products. In addition our compensation package is exactly the same with every single lender that we work with so we have no incentive to steer you to any particular lender. Our only goal is to send your loan to the lender that will approve your loan with the least amount of conditions and with the absolute best pricing. Experience, Experience, Experience . Every single Mortgage Advisor at Charter Pacific has had a minimum of 15 years experience as a mortgage originator. 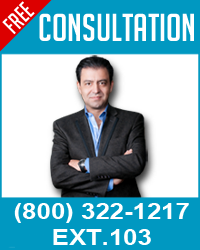 The company owner and Manager, Babak Moghaddam has helped clients achieve their dream of home ownership since 1986. Our Operations Manager and Senior loan processor , Sara Alt has 5 years experience as a loan processor and has been with Charter Pacific since 2012. We want to make sure that you not only get the best loan you possibly can right now, but we want to make sure it stays the best loan for your future needs and market conditions. That is why we have created an exclusive service for our clients called RateWatch. This unique service keeps you informed and aware of the most important financial changes in the market. 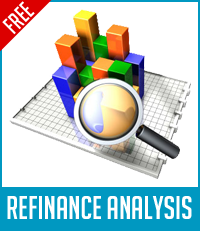 Not only we will inform you as soon as interest rates drop below your current rate but also we will complete your refinance 100% free of charge. This means no loan fees, appraisal fees, credit report fees and no third party fees.